and re-erected it on our current site. worship on 30th May, 1867. 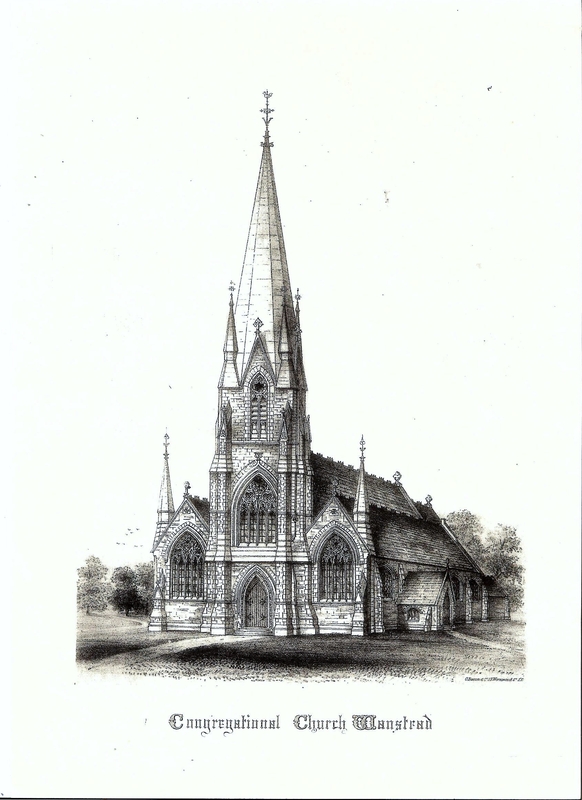 In 1885, the land behind the church was bought and the Grove Hall opened in 1897. The crypt under the church, brought from Kings Cross too, was used as an air raid shelter during the second World War. There was bomb damage, however, and considerable repair work was needed to the Grove Hall which was re-opened and re-dedicated in October 1949. A survey in 2007 revealed extensive and costly repairs were needed to the whole building. Following a time of church and community consultation the decision was made to sell the Grove Hall (now the Treehouse Nursery) in order to raise the majority of the money needed to repair and re-order the rest of the church buildings. The new building re-opened in Summer 2012. Meanwhile, the 'new' St Luke's in Kentish Town has had a revival. Click here. 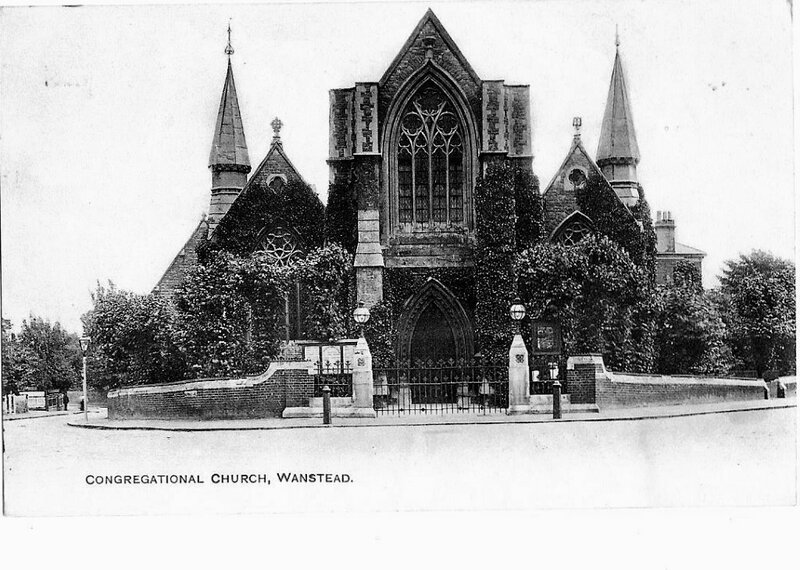 The date of the postmark on this postcard of the church is 1st June 1918 (Leytonstone) although the photograph could be much earlier. “ Dear Mrs Ferris, Thanks very much for your postcard which I was interested in. I hope you have had a nice holiday. The weather is just grand here that I just wish I could have a few days (off?) but not much chance of that as we are very busy that I have to work late each night. I shall have more later on I guess. I hope the kittens are getting on I should love to see them. With kind regards, from r.y. If you always enter the Church by the Grosvenor Road entrance (South Porch) or even the front door, you may not be aware of the exciting new garden that has appeared on the Nightingale Lane side. According to the laws of English Heritage, who gave our Church a Grade 2 listing, grounds and gardens of such buildings have to be planted in the style of the age of the building, in this case Victorian, and the Cromwell Hall entrance provided quite a challenge with the steeply sloping side of the ramp up to the door. (The door had to be raised to fit the newly raised floor inside the hall.) The garden has been planted in a woodland style with rocks, ferns and informal flowers. the slope, as will the plants as they mature. Even during its first week the garden looked well established, and thanks to the forethought of Chris Walker there is even an outside tap, which was installed during the building work, for watering. All of us who saw the garden on its first Sunday were thrilled and delighted with it. Mark says he is, too! Congratulations to Mark and Mr. Burgess, and everyone else who was involved! I’ve always thought what a perfect place the front of the Church would be for winter irises. These gems, Iris unguicularis (ugly name for such an exquisite flower), originate on the rocky hillsides of Algeria. Planted in the right place,they flower from November through to March always giving blooms at Christmas. They are lightly perfumed, a mauve/blue with delicate tawny veining. satisfied, so Helen googled the plant to find out if it fitted with the date of the building. It plopped in very comfortably date wise, having been introduced from Algeria by the nineteenth century bulb collector and botanist Dean Herbert 1778-1847. So one fine day, Chris and Don came round to my garden to divide up a clump of the said irises. Easier said than done. These plants are tough and become impacted. They had to dig up a big clump and then divide it into four pieces, one for each of the front buttresses. They were not to be planted in the recessed flower beds partly because they thrive in poor soil and partly because they needed to receive every scrap of sun, summer and winter. They also needed to be slap up against a wall where they would get the heat from the stone. Not simple requirements but the Church has it all. We scraped away the shingle against the buttresses, slit the underlying plastic and inserted the rhizomes in suitable poor, stony soil. Hopefully, they will think they’re on an Algerian hillside. them and then one day be charmed by exquisite delicate blooms in the depths of winter. If you look for them, you will see clumps of tough looking grass-like leaves coming out of the shingle right against each buttress. I hope they will make themselves at home.